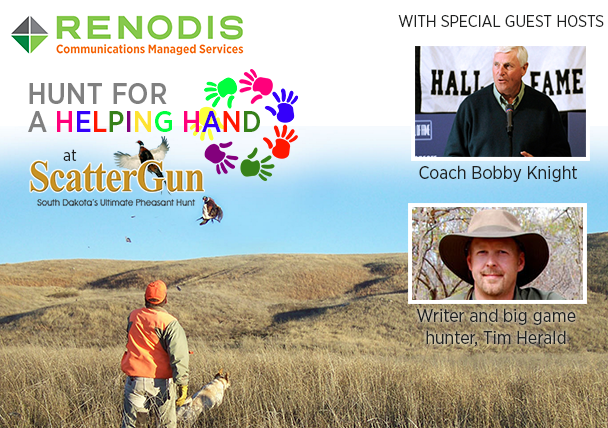 Renodis cordially invites you to participate in the HUNT FOR A HELPING HAND at ScatterGun Lodge on November 2nd – 5th, 2016, with proceeds benefiting Big Brothers Big Sisters of the Sioux Empire. 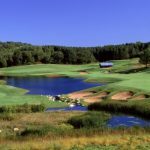 World-class hunting at one of the TOP wing shooting destinations, special hosts Coach Bobby Knight and Tim Herald – all for a great cause. As ScatterGun Lodge offers the finest hunting territory you’ll ever experience, this is an opportunity you won’t want to miss! Detailed logistics provided after registering. Availability is limited for this one-of-a-kind hunt. Reserve your spot today!